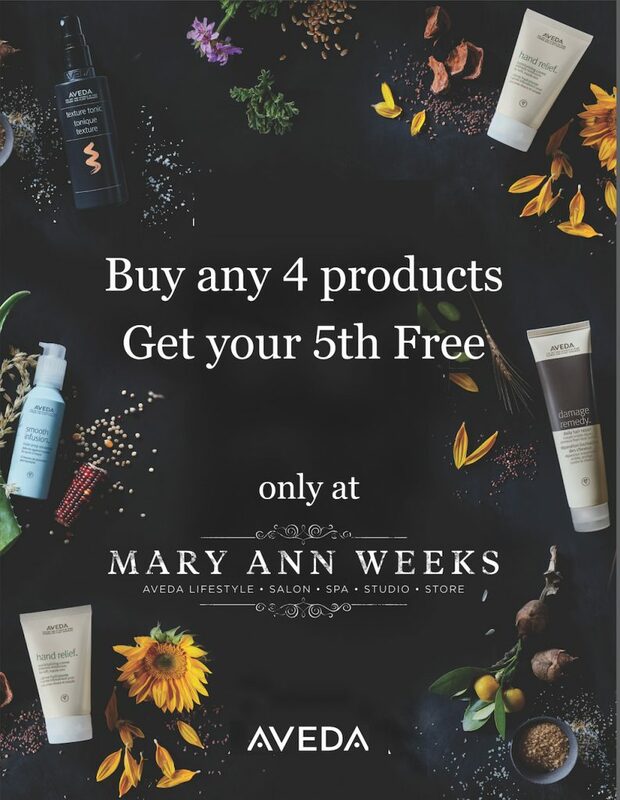 To celebrate nearly 40 amazing years of Aveda, Mary Ann Weeks is offering 5 products of choice for the price of 4 for September. If you have a favourite shampoo and conditioner, or even two that you love using regularly then this is a great opportunity to try something new! We have a range to suit everyone from naturally derived skincare products, a full make up range and of course our hair styling, washing, conditioning, thickening, repairing and colour protecting products. 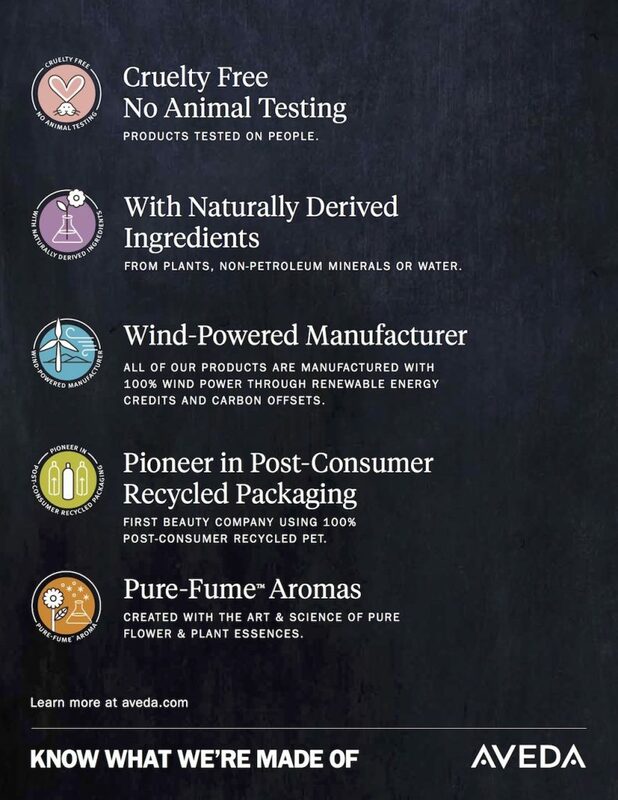 On average Aveda products are from 96% naturally derived ingredients so benefit you and our shared earth. Mary Ann Weeks Aveda is proud to be a part of this wonderful company and hope you enjoy and benefit from these beautiful products as much as we do! Just pop in to Guildford or Walton salons next time you’re passing and ask one of our friendly staff to recommend or describe our products to you based on your needs.